Leave your car at home! In Kelowna, having a car isn’t necessary for you to get around and explore some great places. 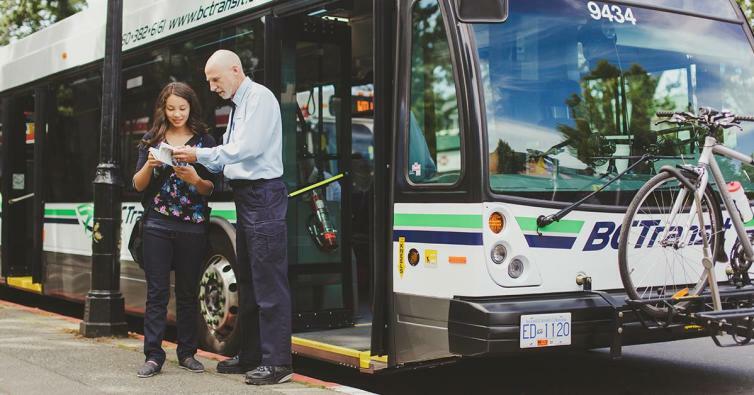 Kelowna offers many different transit routes and with this cool new app called Transit, it’s easy to track the buses in real-time so you can make the most of your day. 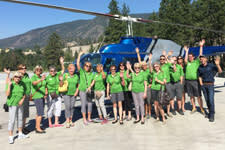 As part of #ExploreBCbyBus we explored our public transit and some of the fun you can have in the area while hopping on and off City of Kelowna buses. Where are you staying? #23 and #90 both go to Kelowna International Airport (YLW). With lots of the hotels and B&Bs easily accessible by transit. The Queensway Avenue bus hub serves the downtown core, the #97 express bus stops near many of the hotels on the highway, and the #1 route along Lakeshore accesses the accommodations near the waterfront. You can also tour wineries by bus! You don’t have to worry about choosing a designated driver, or paying for a guided tour. If you’re flexible with your schedule and want to make a day of it, you can head from downtown to West Kelowna on the #97, then change to the #20 to get to the Boucherie Road stops. From there, you can walk to Quail’s Gate Winery, The Hatch, Volcanic Hills Estate Winery, Mt. Boucherie Estate Winery, and if you don’t mind a bit of a walk, even Mission Hill Family Estate. On the east side of the lake, Summerhill Pyramid Winery is also easy to get to by bus, they have a stop on the #16 right outside their front gate! Just take the #1 from downtown and change at the Mission Rec Exchange. 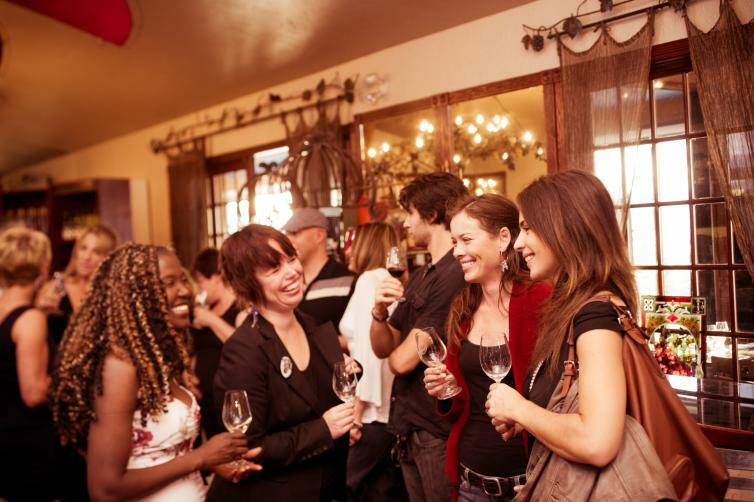 Of course, you can even experience wine country in downtown Kelowna because Sandhill Wines and Calona Vineyards, as well as Tree Brewing and Okanagan Spirits, are all accessible by bus. 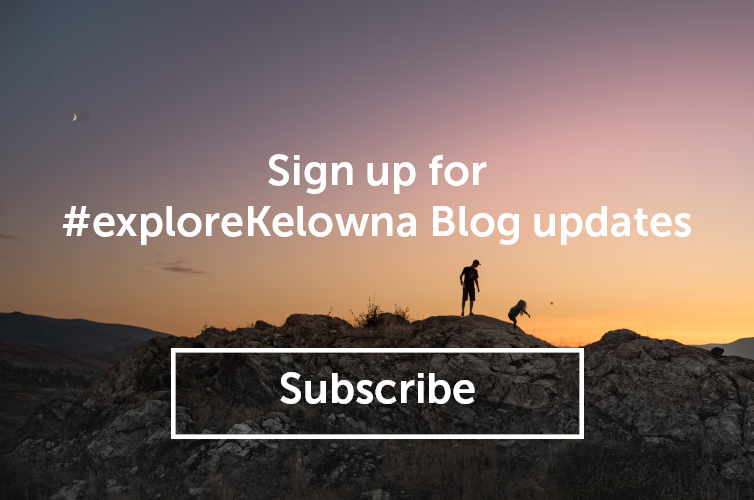 There’s a lot of family-friendly activities in Kelowna that you can easily get to by bus. H2O Adventure + Fitness Centre (H20) and the Capital News Centre (CNC) are both at the Mission Rec Exchange, which is served by several bus routes. CNC offers a branch of the regional library, a fitness centre, skating rinks and a restaurant. At H2O, you can take in the gym upstairs that offers over 90 classes a week, and of course the huge Olympic sized pool, the water slides, and the surf simulator FlowRider! If the day is beautiful and you would like to spend some time outside as well, you can enter the Mission Park Greenway near H20. Walking in one direction takes you north past Orchard Park Mall and if you continue to walk, you’ll end up in Scenic Canyon Regional Park, walking in the other direction from H2O will take you to Okanagan Lake. EnergyPlex, YMCA, Parkinson Recreation Centre, Planet Laser, the Kangaroo Farm, and all movie theatres are also accessible by bus. 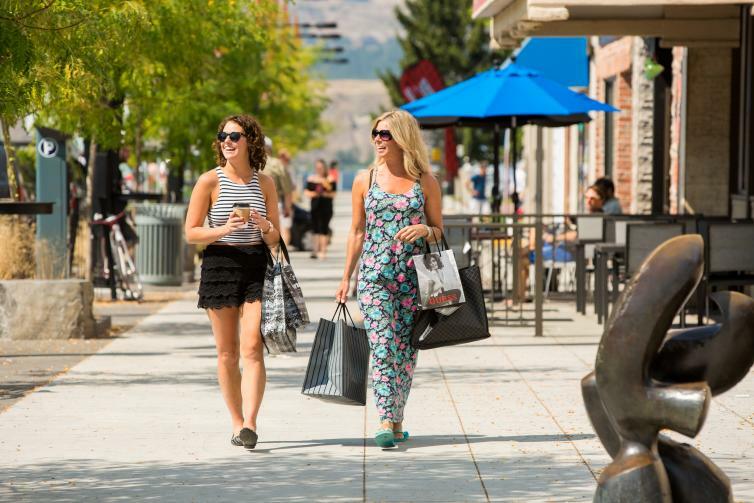 Shopping is a great way to spend a day in Kelowna. Top spots to visit are Orchard Park Shopping Mall, the Kelowna Farmers’ and Crafters’ Market, Bernard Ave and Downtown Kelowna shopping, and Pandosy Village area. All these areas frequented by public transit, mainly the #97 to get downtown and the #1 to get near the boutiques on Pandosy. The mall is a transit hub for several routes, so it’s easy to get there from almost anywhere in Kelowna. Note: Make sure to always ask for a transfer when you get on the bus, it’s a pass for any bus in any direction for two hours (the expiry time is listed on the transfer pass). Trips are $2.50, free for children under 4, and you need to have exact change for the driver. You can get day passes for $6.50, which is a great deal if you’ve got a full day planned. If you’re in town for a few days, you can pick up a pack of 10 tickets for $22.50, and transfers are also available with these tickets. If you need help planning your trip or need to purchase bus passes, contact the Visitor’s Centre and we can help you put together an itinerary.